There's a hunk of land in Alaska's Chugach Mountains that's causing a roaring controversy between two heli ski outfitters, both gunning for access to fly on the land, and the Forest Service, which oversees permitting. In other words, it's a heli ski paradise and it's completely untouched. The plot of land in question, over 220,000 acres of rugged, mountainous terrain, is sandwiched between the town of Cordova and the Copper River, with panoramic views of Prince William Sound. Peaks rise up to 6,000 feet in elevation and storms whip off the Copper River corridor, dumping hundreds of inches of snow each year. In other words, it's a heli ski paradise and it's completely untouched. In 2012, the Cordova Ranger District of the U.S. Forest Service invited qualified applicants to compete for a permit to operate commercial heli skiing in the area, called the Pyramid Peak Heli Ski Prospectus. Several companies applied, and the Forest Service eventually chose Points North Heli Adventures, Cordova's lone heli ski outfitter, which is run by Kevin Quinn and his wife, Jessica Sobolowski-Quinn, who have operated in the area since 1998. According to Quinn, his company was the rightful recipient of the prospectus. "The Forest Service brought in specialists from the outside who looked at everything—safety records, environmental impacts," Quinn told POWDER. "Each applicant was given a grade. We beat the other operators applying for it. The other guys went away. But Dean didn't." 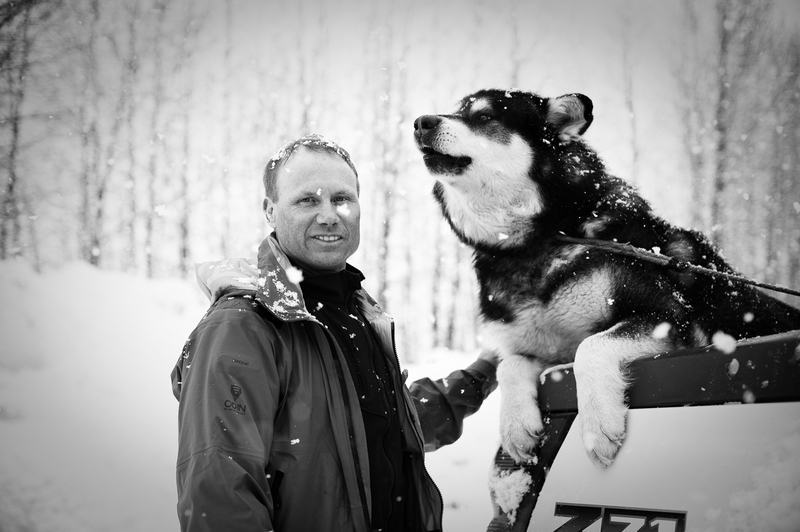 Dean is Dean Cummings, owner of H2O Guides, a heli ski company out of Valdez, Alaska, operating since 1995. After Points North was awarded the prospectus, Cummings appealed the Forest Service's decision, in a letter, dated December 2012 and obtained by POWDER, that raised multiple concerns. In the letter, Cummings wrote that the Forest Service didn't follow proper protocol in looking into safety records and operating history, he said H20's business plan was incorrectly discounted and that local Cordova politics unduly influenced the decision, and he accused Points North of illegal commercial practices, including trespassing on Forest Service land and disregarding land boundaries of their competitors. "It wasn't objecting to a permit issue alone," Cummings told POWDER. "My biggest frustration is that Points North set a precedent that you can pay the petty fine and then fly wherever you want. We had a perfect safety record with no trespassing. But all of a sudden, they hand the permit over to Points North. We were like, 'What's happening here?' So we decided to appeal." Cummings submitted hundreds of images, videos, and more evidence to show that Points North was skiing for commercial gain without a special use permit on federal lands. Quinn fired back to dispute every claim. "Dean is still dead set on the fact that Points North flies illegally, but we ski legal land. Period. There is no dispute," says Quinn, who is the president of Heli Ski U.S. Association. The Forest Service denied Cummings' appeal in January 2013, then Cummings appealed for a second time, which was again shot down by a Forest Service supervisor in March of that year. In the summer of 2013, Cummings took his appeal to the highest level, to a regional forester in Juneau named Beth Pendleton. The third time it worked, due to an alleged technical error in the wording of the prospectus, according to the Forest Service. Points North lost their chance at the permit. "Everything smelled fishy," says Cummings. "Judge Pendleton decided to appeal the decision, which was a smart move on her behalf." Two years later, in March 2015, Cummings sent a letter to members of Heli Ski U.S. Association charging Points North of "habitual trespassing on USFS land." Quinn, who eventually threatened a slander suit against Cummings, responded with a letter of his own shortly after, reacting to and denying each allegation Cummings made. "Mr. Cummings has continually engaged in an effort to defame Points North and gain an advantage on heli skiing operations in the region by raising many of these same allegations with the U.S. Forest Service and with prospective clients," Quinn wrote in the letter. "The U.S. Forest Service has investigated Mr. Cummings' allegations and found no basis to them." Heli Ski U.S. also conducted its own investigation into the matter and found no proof of Cummings' allegations. Cummings says Heli Ski U.S.'s review ignored important facts. Meanwhile, Quinn is still waiting for the Forest Service to reissue the permit to that choice chunk of land, a process that started over four years ago and still shows no clear end in sight. He says he's spent some $200,000, written over 300 emails, and waited years attempting to secure access to the land, which he estimates could drastically boost his business and the economy in the town of Cordova. "For years, I was told by the Forest Service, 'We're understaffed. We're going to get to it,'" says Quinn. "Now it's defunct, it's going nowhere. I call on a weekly basis but it's been three or four years of no progress. We're at a standstill." The Forest Service, for their part, say they're done with this chapter. When asked, a spokesperson in the Chugach National Forest district said they aren't currently planning to reissue a prospectus for commercial heli skiing in the area, and if they do in the future, they'll be starting from scratch: A prospectus will be issued and all operators will be invited to apply. For now, that sought-after plot of perfectly ski-able mountainous terrain is going to stay exactly as it is—wild and untouched.